Starting with a blank page for marketing a new 5 star luxury beach resort will take some patience, but the biggest suggestion is to make sure that you have a very detailed documentation process in place because there are so many different areas to cover. I will cover some of the Digital Marketing strategies that you should be doing to lay the ground work for your luxury resort marketing. If you haven’t yet done so, establishing your online branding presence with your Resort’s name needs to be a priority. This includes your website domain, your social profiles, your offline marketing brochures, and anything else that you will put your name on. You need to claim your Resort’s name through as many social media channels as possible. 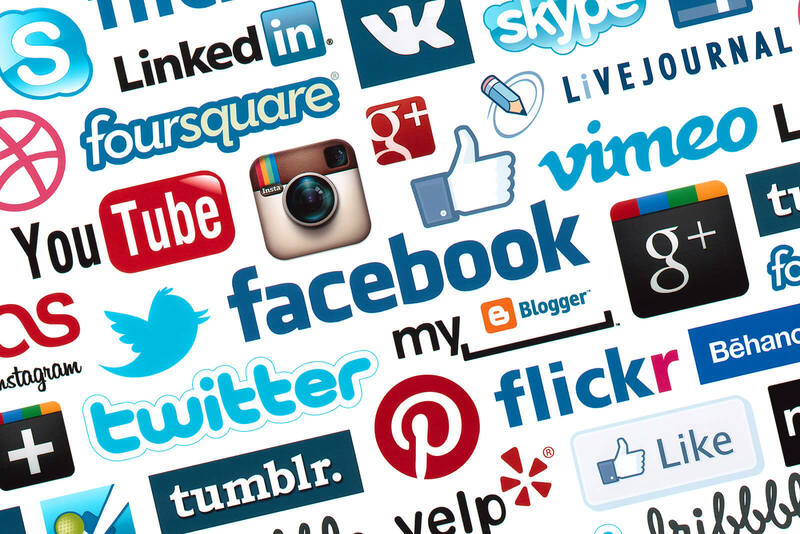 Facebook, Twitter, Instagram, Trip Advisor, LinkedIn, Pinterest, Google+ (through Google Places), and YouTube are the key social profiles that need to be secured with your resort name. For Digital Marketing, your website should be your top priority at the start. I am surprised at how many beach resorts neglect their website with having poor structure, low quality pictures, and don’t use their website as their future guests 1st impression. Your website needs to show your future guests how beautiful your resort is. Show you are 5 star from the moment someone lands on your page. Branding (logo) needs to be clear and visible above the fold (above the fold is the top half of the page, visible without scrolling down). Full width, high definition images. People who come to look at your website are dreaming about an amazing luxury vacation that takes all of their stresses away. What is the first impression that you want to show? Make your images stunning so that your visitors to your site can picture themselves staying at your resort. An excellent example of a stunning 1st impression is The Grand Wailea in Maui. Make booking a reservation an easy process and make it visible above the fold. Do not make guests have to search your website to book a stay, it needs to be near the top. Let visitors know that this is the best way to book a stay at your resort. Have an easy way for someone to call the resort. A lot of people still like to talk to someone and are not comfortable with booking online. Make your phone # visible and easy to find. Having a chat option also gives your guests more comfort knowing that they have easy access to get any questions answered quickly. Easy navigation to view rooms, see the amenities, and view the property. Keeping your visitors engaged in your website content for longer periods will also help with your search engine rankings. Setting up different landing pages for your marketing campaigns. For example, the resort is not yet open so this is a great opportunity to build some buzz and send people to a opening soon landing page where you can grab their email address for future specials and updates on the progress of the opening. An email capture form will be essential moving forward to build loyalty campaigns with your guests. Start creating lots of content to the website. I don’t mean have a lot of clutter on the pages, but get a blog page or things to do page and start having weekly posts that will target the keywords that you have already researched (see below). You are building a foundation right now prior to your resorts opening, by creating content now you will be in a position to dominate the keywords in your resorts area in just a year or two. Think long term for this as it takes time to rank, but persistence will pay off. Part of the setup of the website will need to include proper SEO tactics to help the website rank higher in the search engines. This will include a very detailed keyword research so that you can build content around how people are searching for a luxury vacation near your location. I can’t stress enough how important proper keyword research is in the hospitality industry. This will also give you an indication of costs for any Pay Per Click campaigns that you be setting up as well. Knowing what keywords to target is important for your ROI. Building content around the proper keywords will put your resort in front of more eyes and give you a better chance to rank higher in the search engines. Once they land on your website, you can get them into your sales funnel. While keyword research is very important, there is still a lot of work to do with SEO structure on the website. This includes proper Title tags, Meta descriptions, Heading structure, site navigation, page load speeds, installing analytics tracking and re-marketing pixels so that you can keep your brand in front of your visitors. Your social profile pages should have the consistent branding as the website making sure that you start engaging with your followers when they comment or like. Creating a visual story for your brand is the key. By bringing people into the journey now they will become part of the family and loyalty will start to happen. The goal to keep in mind is that the social pages are the doorways for you to get people into your sales funnel. Right now, you are not open for business, so your sales funnel involves creating buzz and getting people onto your email list so you can keep them engaged with your brand as the opening comes closer. Get them to a landing page on the website to subscribe for Grand Opening specials or for future updates. Once they come to the website, you can now re-market to them because you have already set up your tracking pixels. Your social media pages give you the opportunity to showcase what’s coming ahead for your resort. Keep people informed on how construction is going, what the final product is like, when your hiring staff, etc. Word of mouth via shares and follows will start to spread and your community will grow. The more content that you can put out there right now will help you in the long run, both for growing your audience and showing the search engines that your site is active and relevant. Start following the influencers in the travel industry, those who have a large amount of people in their social media accounts. Get you brand in front of them and start building relationships with some travel bloggers who have a large following. These are going to be your promoters who can get your resort on the minds of a lot of people. Your resort hasn’t opened yet so there are no reviews. You have the opportunity right now to be proactive in managing the reputation of your new resort. Reviews will play a huge roll in whether your future guests book with you or not. Have a plan in place today for how to handle reviews on all channels (Google, Facebook, Trip Advisor, etc.). Assign someone that responds to all reviews both positive and negative. Respond 100% professional and appreciative every time. Responses show others that you care about what people say. It’s also important that you promote your guests to leave reviews. This is a ranking factor for most OTA websites as well as your Google listings. Pushing bad reviews out with good reviews needs attention. Reputation Management services are offered by Digital Marketing Agencies. If your social media pages are about building relationships with people, then think of Off-page SEO as building relationships with websites. Link building is still one of the most important factors in search engine rankings. It takes time and patience to see lasting results, but getting links to your website will increase your ranking in organic listings. A competition analysis will give you the information of what backlinks that your competitors are getting to their websites. This is a great way to start because you can see what they doing, so do the same. Link building should be an ongoing part of any digital marketing campaign if you want to rise in organic search engine rankings. There are good links and bad links and whomever is running your SEO or Digital Marketing needs to make sure that they know the difference. There are a lot of strategies to get high quality links pointing to your website. Don’t be misled of promises from people who want to sell you bulk links, they are usually bad. My suggestion: Don’t Buy Links. Set up and optimize your Google My Business listing. Your Google My Business listing is the key for you to get into the map section of the search results (the 3 map results showing near the top of a Google search). Yes, Google lists more than 3 results, but it’s only the 3 that are visible. Once your listing is verified, you need to start getting Citations (mentions of your resort Name, Address, Phone) from around the web in resources such as directories, web 2.0 sites, local business listings, etc. There are tools that can help you find where your competition is getting theirs from. Google uses Citations as a ranking factor for your map listing. The goal is to get you into the top 3 so you are visible on the page. Here’s my thoughts on PPC in the hospitality industry. Paid advertising is an essential part of marketing your resort while you are building your organic listings, but once you establish your organic listings, your organic listings will give you a better ROI. In the long term, SEO will give you a better ROI than Pay Per Click because the stats show more people click on the organic listings than the Ads (over 5 times as much…here is a good article). However, PPC can be very effective especially while you are getting your name out there. The goal still remains the same, getting people into a sales funnel that you can convert into a booking. Running a PPC campaign needs full time attention so that different testing can be done for effectiveness and to lower the costs of the campaigns. In essence, a poorly managed PPC account will be useless. There is more than just Adwords to focus on as well. Facebook Ads, Instagram, YouTube, Linkedin, and Gmail are all effective alternatives for a paid advertising strategy. PPC campaigns is where keyword research will again come to the forefront. You can spend a lot of dollars very quickly and not get conversions because of poor keyword research. Targeting your campaigns is equally important. Who are you marketing to where you marketing can make the difference between successful campaigns or not. Best to have someone manage your PPC campaigns. Your Digital Marketing is going to be essential for your Resort’s success. There are a lot of moving parts and the digital landscape changes very quickly. You can’t afford to neglect the time needed to update, maintain, and stay relevant to your target audience. If you have any more questions regarding marketing for your resort, don’t hesitate to contact us. Beach Resort Marketing provides the services mentioned above specifically for the Resort Hotel Industry.